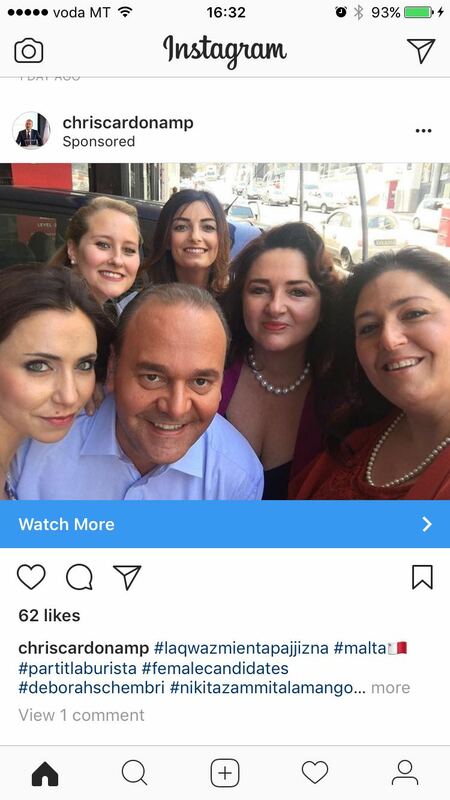 Here he is: the whore-house specialist and perjurer, fooling around for sponsored Instagram photographs with the women of what is supposed to be the most feminist political party and government ever in the history of Malta. To belong to the feminist party, you have to behave like a 1970s dolly-bird and crowd behind a man who’s only missing a big medallion, an open shirt, some chest hair and a Tom Jones hairstyle for the look to be complete. Lydia (Labour Party executive secretary), Nikita (Labour Youth Forum boss and Water Services Corporation director), Rosianne (mayor of Hal Qormi), Helena (cabinet minister) and Deborah (parliamentary secretary in the Office of the Prime Minister) – all posing like screwed-up Seventies Charlie’s Angels behind the sordid Minister for the Economy, as the financial services sector goes into meltdown. No wonder Malta is in such a mess.